The history of Hvar is filled with interesting moments which reveal the significance of this town in times past. 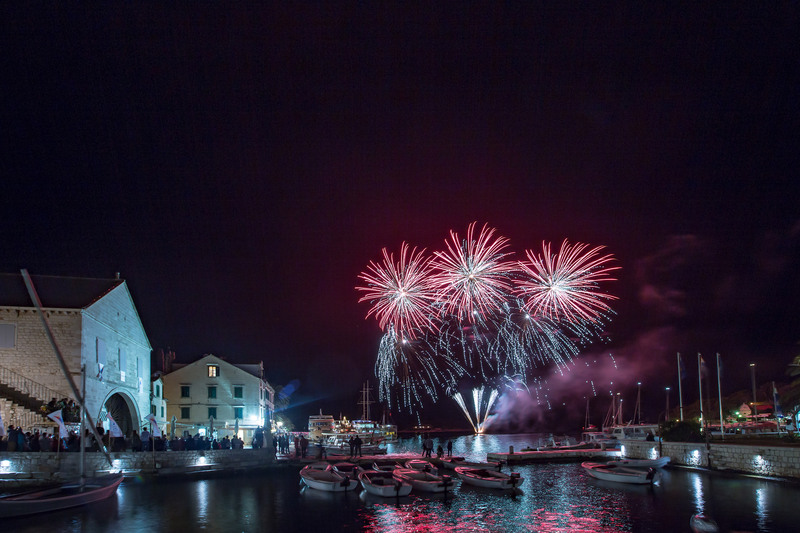 Since its foundation, Hvar has been a naval and trade centre, and the never-ending investments into the town’s public, communal and social infrastructure are reflected today in many authentic streets, monuments and a unique vibe of the town of Hvar! St. Stephen’s cathedral is one of the trademarks of Hvar. 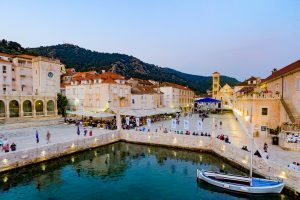 It was built from the 16th to the 18th century, and means for construction were provided by contributions of the citizens of Hvar themselves. 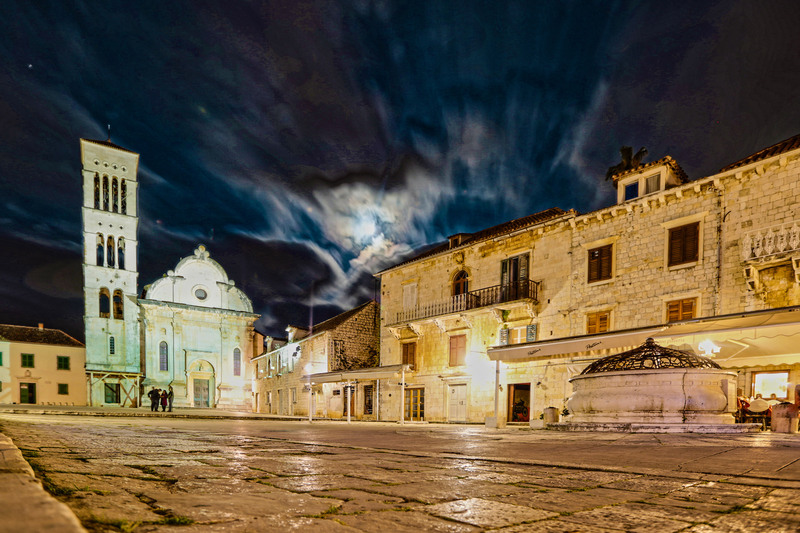 This three-nave basilica type building, where one can see numerous works of art by local and Venetian masters, to this day remains the focal point of the town’s spiritual life. The Arsenal was constructed in 1579 at a location of a 13th-century building. It was originally used as a storage and service facility for Venetian ships, and today it is one of the most easily recognizable buildings in Hvar. The Arsenal is also the home of the oldest communal theatre in Europe. In recent years, it has been used as a gallery, hosting numerous exhibitions. 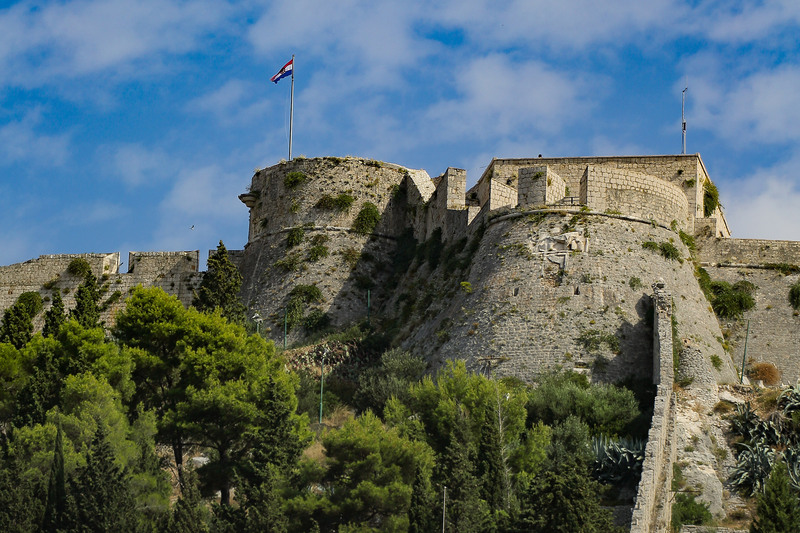 Španjola fortress is located above the northern part of Hvar, on top of a hill around a hundred metres high. The people of Hvar call it Fortica (from the Italian Fortezza). The Španjola, with city walls, used to form the central defence construction of the town of Hvar and was a hundred-year protector of the town and harbour. It proved how important it was in 1571, when it provided defence at the time of the Ottoman’s invasion. The Franciscan monastery was constructed in the 15th century, initially as a refuge for many a sailor who passed through Hvar, then an important naval port. When visiting this monastery, apart from rich sacral art, one can see a series of important museum exhibits, most prominent being the painting of the Last Supper. In the inner court of the monastery there is a 500-year-old cypress tree, specific for its crown in the shape of a parasol, which is credited with including the tree in the list of botanical nature monuments. St. Stephens’s Square is the central town square, fondly called Pjaca by the inhabitants of Hvar. It is also the largest town square in Dalmatia, spreading over 4500 square metres. Originally, this was a deep cove, and the sea reached to the very entrance of where the Cathedral stands today. In the centre of Pjaca, there is the city well, completed in 1520, while pavement installation was fully completed in 1780. The summer house of the poet Hanibal Lucić is situated alongside the ancient path which has connected Hvar and Old Town since antiquity. Today, it is home to the Museum of Hvar Legacy. Its featured exhibit is “The Beast of Hvar”, an ornament from a galley which was involved in the Battle of Lepanto in 1571, when the Holy League fleet defeated the ships of the Ottoman Empire. Benedictine monastery was originally the home birth of Hanibal Lucić, and his wife left it to the sisters of the Benedictine order after her passing. Today it is famous for the lace that the nuns have been making from agave plant ever since the 19th century. This technique is unique in the world, which is why the lace has been included in UNESCO’s list of Intangible Cultural Global Heritage.